I always find it touching when just a simple bit like this is all that remains on a stone. It makes me wonder what it looked like originally, and who it was for. I’m a bit snowed in today, so I’m catching up on blogging. I was inspired to post this photo by Beneath Thy Feet’s post today. I have a number of photos from the cemetery here, but today, it’s nice to post a photo of the church, itself. 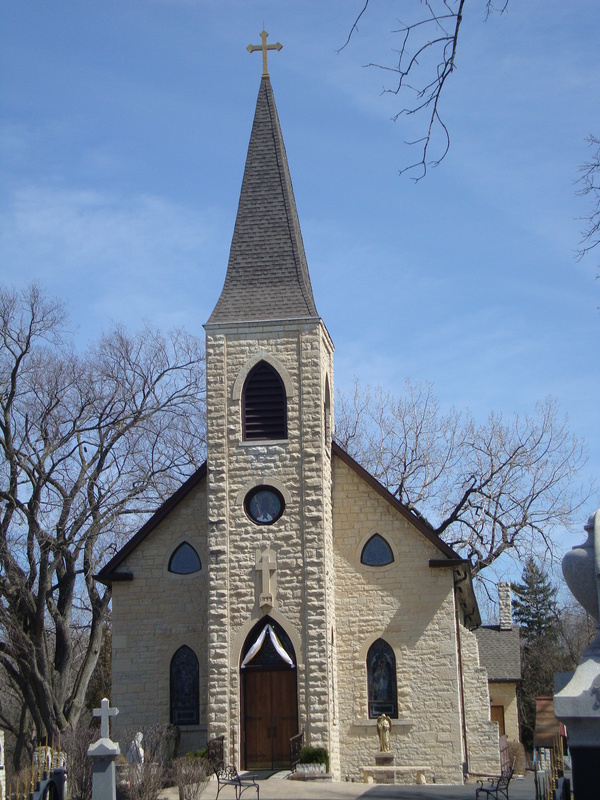 You may read more about this church here, and here — it’s the second oldest Catholic church in northern Illinois. 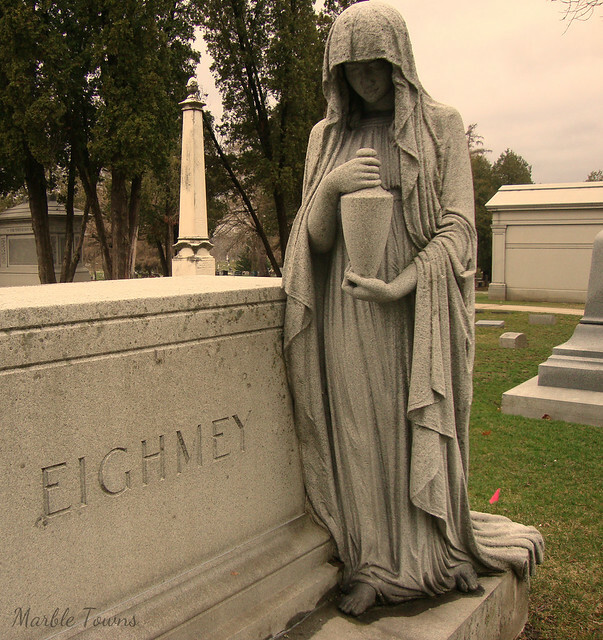 Linking up with Cemetery Sunday and also InSPIREd Sunday. Beneath Thy Feet hosts Cemetery Sunday, so I thought, since it’s almost Armistace Day, that I’d post a military grave. This man fought in the Spanish-American War (commonly abbreviated like this, Sp.Am … which my husband and I tend to pronounce now as “Spam War” when we see it). I found that he volunteered in 1898. Looking further, I found a draft registration for him for World War I. It lists that he was born in 1872, which would have made him 26 when he fought in the Spanish-American War. This marker is in the Arlington Cemetery in Elmhurst, Illinois. A wagoner’s duties were to handle transport of wagons and vehicles by animal (like horses). 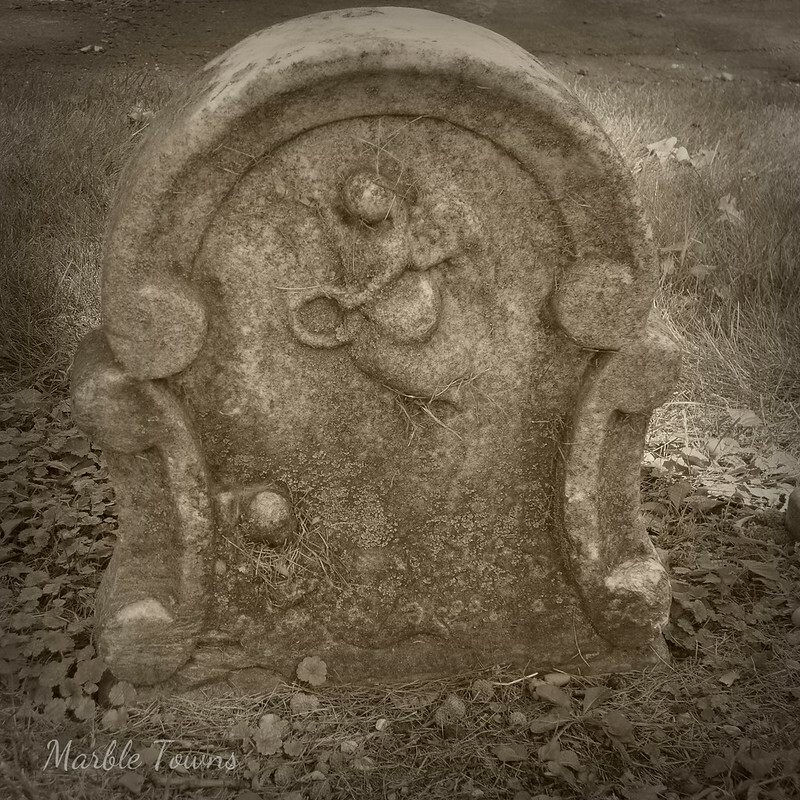 For more Cemetery Sunday, please visit Beneath Thy Feet. My husband and I had a bit of time yesterday morning, and it was such a beautiful day, so we decided to go to Rosehill Cemetery in Chicago. This is a huge cemetery (350 acres), and we knew we wouldn’t possibly be able to see everything, but we figured we’d do a bit of looking, just to get a taste. There is one section that is beautiful, and which has a pond. And in that pond were several families of geese, just swimming along. 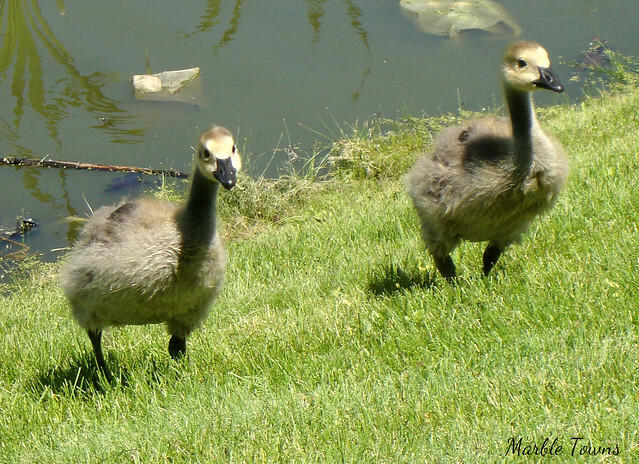 I think goslings are so cute. When they’re tiny little balls of fluff, they’re adorable, but even when they reach “teenager” status, they’re still pretty cute. 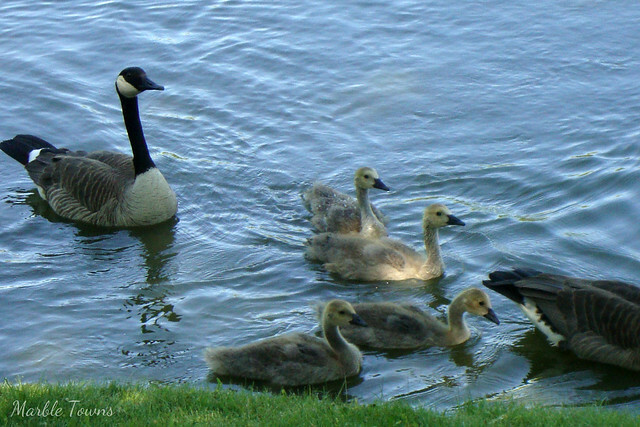 So, of course, I was taking a bunch of photos, and the geese were just doing their thing… until a few of the goslings decided to come out of the water. Let me tell you, these guys move pretty quickly. They apparently believed I had some goose treats in my pocket (or were hopeful, anyway), and so they made a beeline towards me. Which was very cute ….. but then, as I realized they were quite earnest, a bit daunting. But I moved away and they started rooting around in the grass, instead. It was fun to see them, as well as the small turtles in the pond (I’ve got a photo of them which I’ll post at some point). There were also the usual robins. and we saw 2 crows — and also, a large hawk, who flew overhead and circled. The hawk treated us to a few screams, which was pretty cool, too. This is my contribution to Cemetery Sunday. Linwood Cemetery, Dubuque, IA. 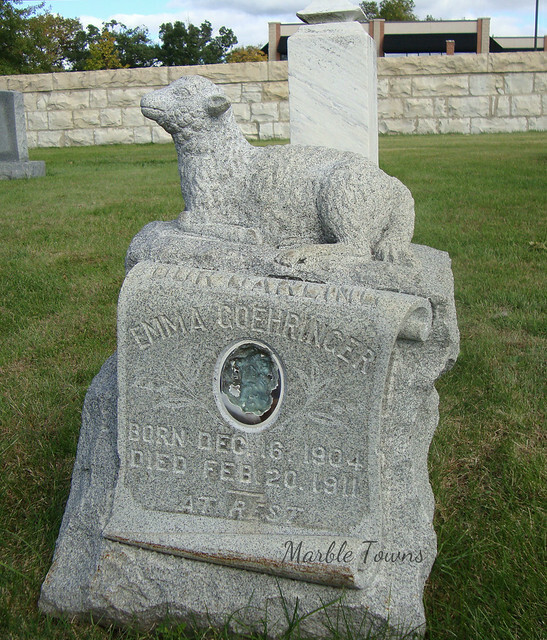 I found her in Barber’s Corner’s cemetery in Bolingbrook, Illinois. I think her last name looks like “Schaubacher”, but the listing in Find-a-Grave lists her as “Schanbacher”. 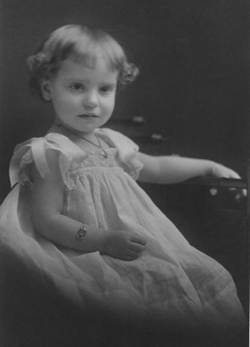 Either way, I can’t find her or her husband in the census records (at least, the ones I got to through HeritageQuest). 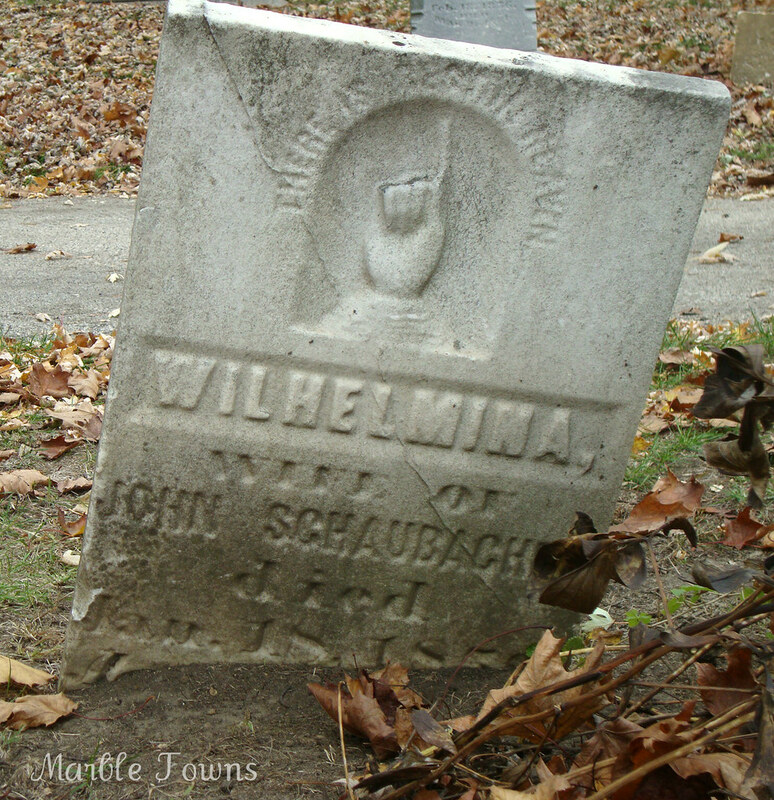 There is a John Schanbacher listed in DuPage County, Illinois, but his wife isn’t Wilhelmina …. so it’s a bit of a mystery. But her name caught my eye, as well as the finger pointing to heaven. 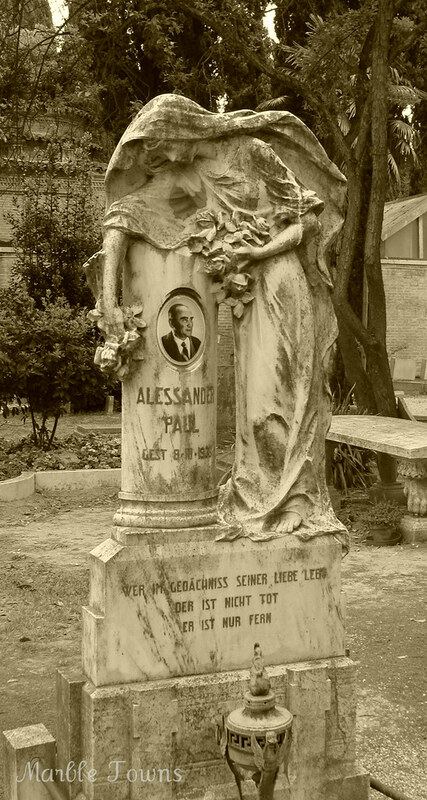 This is my post for Cemetery Sunday — to see more, please visit Beneath Thy Feet. 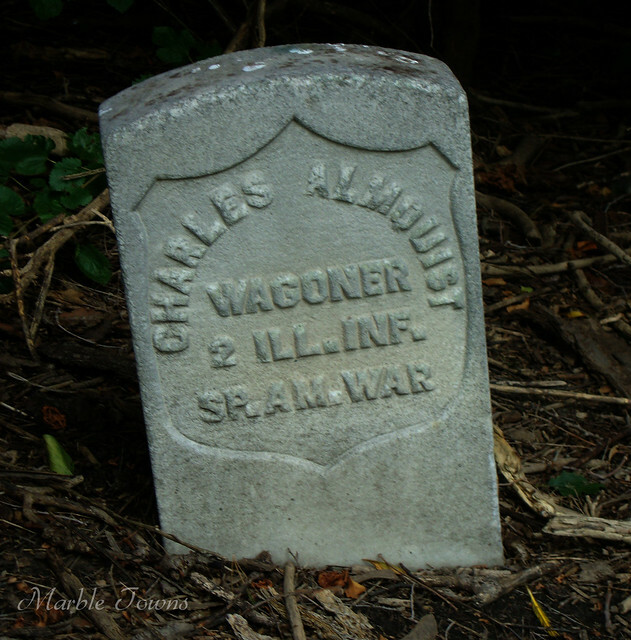 Oddly enough, I wasn’t able to find anything about this person — but I did take this photo in the cemetery in DeKalb, Illinois. The unusual name caught my eye, but the stone is quite simple.